In 2016, Lyft Business introduced Lyft Concierge and committed to partnering with leading healthcare organizations to help them manage thousands of patient rides each day. Read more about exciting developments in our healthcare partnerships. 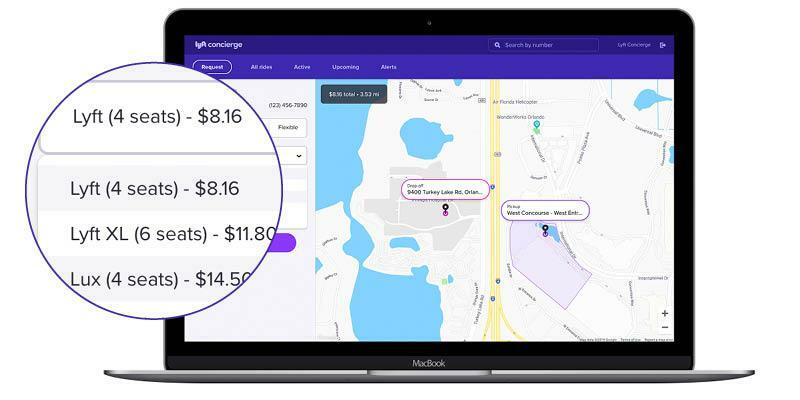 After listening to the feedback of our healthcare partners and their patients, we are thrilled to announce a significant update to Lyft Concierge and the Concierge API — the solutions those partners use to arrange patient rides. This upgraded experience doubles down on our commitment to healthcare. It puts the needs of healthcare providers and patients first, creating a ride solution that supports their unique and evolving needs. A ride solution that moves with on-the-go ride coordinators. Concierge now works seamlessly on tablets, desktops, and mobile phones, serving the needs of everyone from the nurse in a hospital emergency room to the dispatch agent in a nationwide call center. Making the most important information more visible. 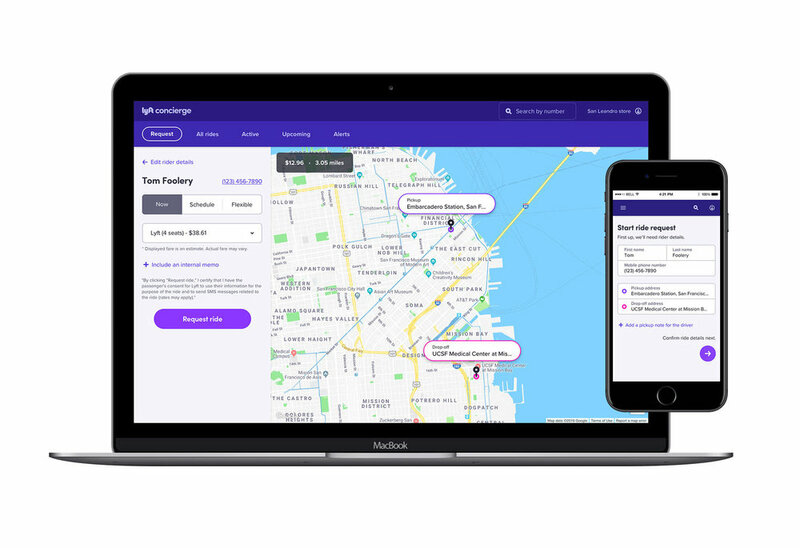 We’ve simplified the experience so that ride coordinators can quickly view ride cost and distance, so they can stay on top of any eligibility requirements. Concierge also includes new Alerts and Active tabs, helping managers follow rides as they progress and take action quickly to help patients get to where they need to go. A focus on cost transparency. We’ve added upfront pricing comparisons to this update, so ride managers can compare and secure the cost of different ride types — such as standard, luxury, or extra seat options — in one view. Delighting patients — no smartphone required. Less than half of Americans over 65 own a smartphone. With that reality in mind, we upgraded the Concierge experience to make sure that this unique population of riders can also enjoy a great rideshare experience. Now, when Concierge detects that a phone number is a landline, it automatically calls the passenger to provide ride details, to make sure she reaches her destination. Our dedicated healthcare support team takes patient privacy seriously. We sign Business Associate Agreements with healthcare partners, which means we hold ourselves to the same patient data security and overall HIPAA compliance standards as any healthcare organization. Sign up for a Lyft Business account and start using Lyft Concierge today. We will be rolling out the update to Concierge customers over the next few months. Interested in updating immediately? Contact us.